Last week one of my beautiful influencer friends and I met up at Pain du Monde in Newport Beach for a breakfast birthday celebration. We were celebrating their 30th Anniversary and my birthday with delicious freshly made pastries and fantastic breakfast made with organic and locally sourced ingredients. 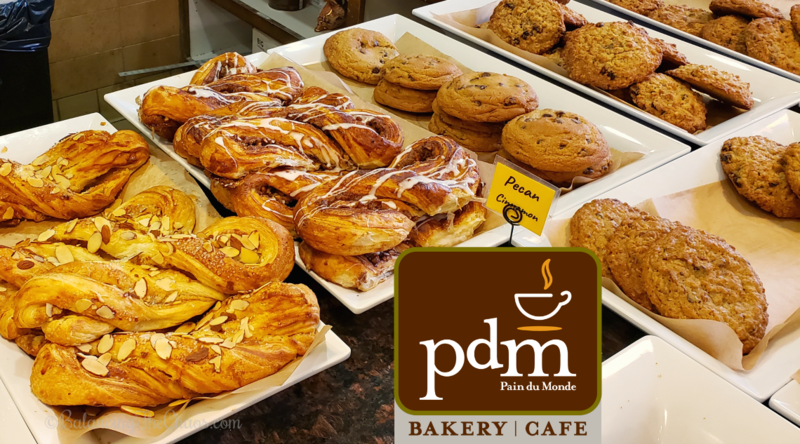 Pain du Monde is a family owned bakery cafe with 4 locations in Southern California. 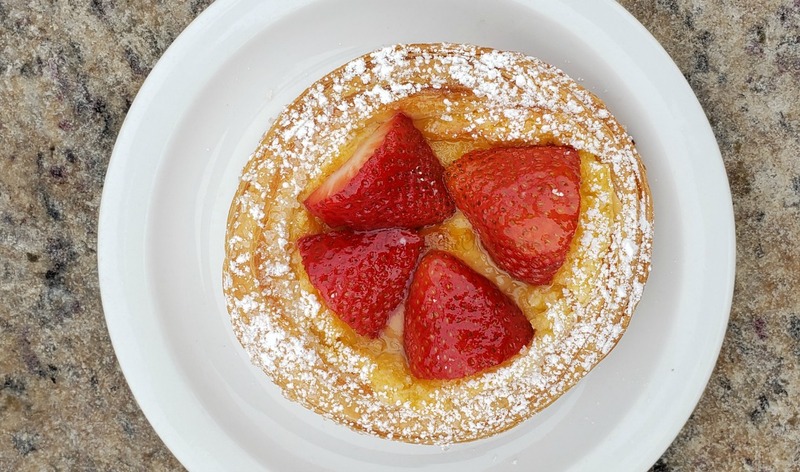 … and a sweet Strawberry and Creme Danish that melted in my mouth. 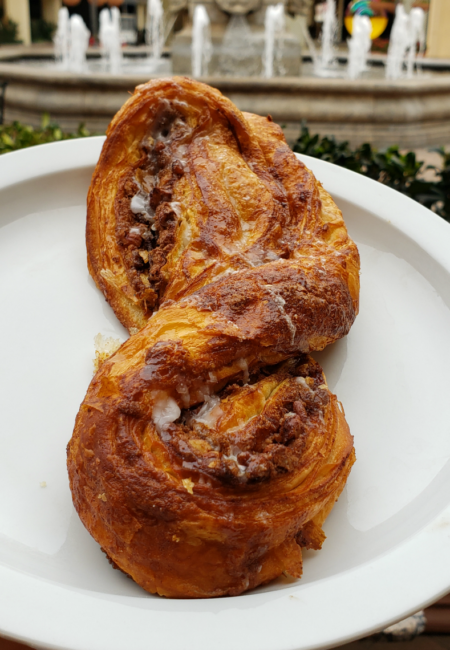 The Cinnamon Pecan Twist was a little crispy, and the nuts, just added a delicious crunch. For breakfast, Penny had the Eggs Benedict with salmon. 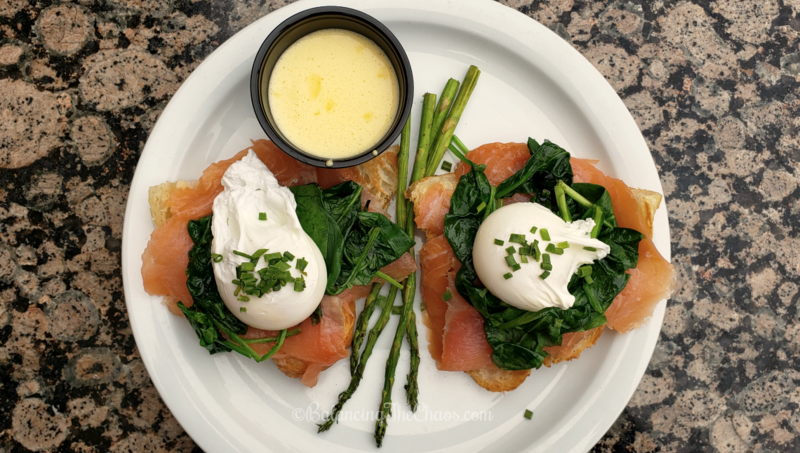 Two perfectly poached eggs with spinach and fresh smoked salmon, served on a potato cake with Hollandaise on the side. It was accented with a couple of sprigs of asparagus. It was so good. 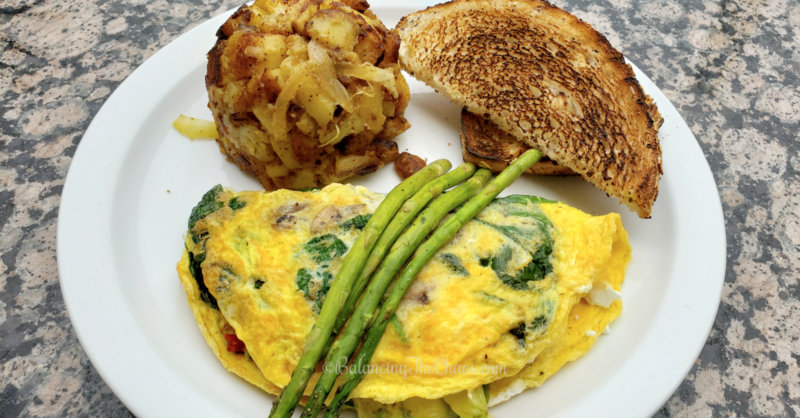 I decided on the French Omelette with three eggs, loaded with spinach, goat cheese, mushrooms, avocado and sun-dried tomato, topped with a asparagus and accompanied with two pieces of toast. Each bite was loaded with a big glob of goat cheese, and the mound of potatoes was laced with onion and spices. The Fashion Island location serves breakfast all day, along with additional entrees including grilled salmon, fresh fish tacos, and a natural Angus cheeseburger. As we were there, we had he opportunity to watch their pastry chef hand craft delicious cinnamon twists, which they continuously bake throughout the day. 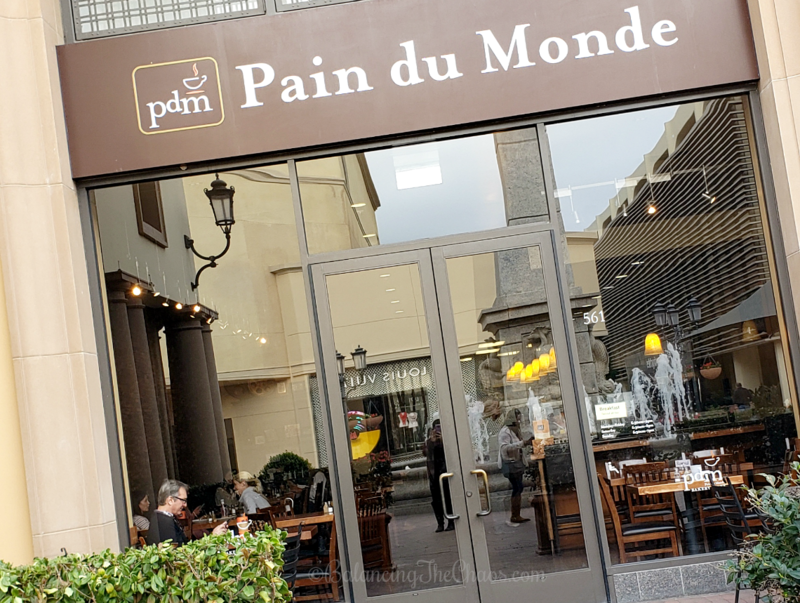 Curious about Pain du Monde? Visit their website: https://www.pdmcafe.com,or stop by, or order to go. They also deliver their delicious pastries and breakfasts too. oh my! all of those look so delicious. loved both of yr videos on IG stories when u were there. glad u had a great time!